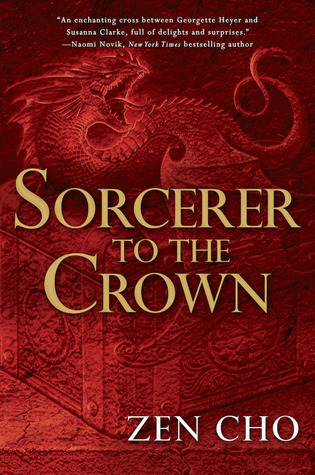 Sorcerer to the Crown is the first book in the Sorcerer Royal series and a debut novel by Zen Cho, author of the Crawford Award-winning short story collection Spirits Abroad and a finalist for the 2013 John W. Campbell Award for Best New Writer. I was excited to read it because I’ve seen a lot of praise for it and it sounded right up my alley, but my reaction to it is rather complicated and difficult to articulate (which is why I decided to write my thoughts in a mini review instead of a full scale review). Once in awhile, I read a book that I appreciate immensely yet do not enjoy reading immensely. 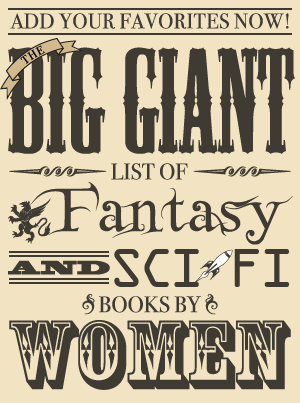 Objectively, I admire its wonderful qualities and completely understand why many people think it’s amazing, yet it’s missing that special spark that keeps me eagerly turning the pages. It’s missing that magic touch that makes me invested in the characters and absorbed in the world, and since it does have such praiseworthy aspects, I’m rather mystified as to why it didn’t work better for me. Sorcerer to the Crown is one of these books: it’s a decent enough book, but for reasons that I can’t really explain, I merely liked it instead of loving it. The writing is verbose at times, but it’s also insightful with some humor which should more than make up for some wordiness. The characters are well developed, and I liked the contrast of Zacharias’ serious, dutiful nature with Prunella’s lack of propriety and propensity toward finding the humor in situations. Both characters are likable, but Prunella is especially delightful and her perspective kept the book much lighter than it would have been without her. The author did an excellent job of capturing the complexities of human emotion through both Zacharias and Prunella’s feelings toward the people who raised them, and it’s a very thoughtfully written book. Though set in England, the attitudes and beliefs of other parts of the world are drawn into the story. Different cultures have different approaches to magic, and English magic was not always perfect and absolute as their sorcerers might want one to believe. As a trained sorcerer, Zacharias was more entrenched in the British traditions and more likely to find other ideas about magic foolish, while Prunella could actually see the sense in other methods and viewpoints. Given that there’s a lot to admire about Sorcerer to the Crown, I’m surprised I was not more fond of it. The beginning was slow, some of the characters seemed a bit over the top, and I felt like it lacked subtlety at times, but these were all minor problems instead of glaring ones with this particular novel—and I’ve enjoyed many books where these were small issues with the book more than this one. That’s not to say I didn’t like Sorcerer to the Crown, because I did. However, I’m at a bit of a loss as to why it was a book I merely enjoyed somewhat instead of a book that I found captivating. The ideas that went into the story were wonderful, and conceptually, there’s a lot done quite well. It seems like it should have been my type of book—and yet, for some reason, it didn’t completely engage me.